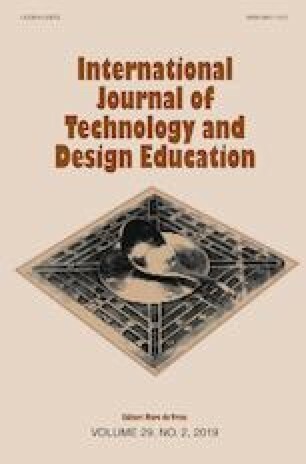 This study aims at alternatively assessing the 3D-printed prototype performances showed by young pupils during tinkering activities, as well as developing an instructional rubric that can be evaluated in line with the requirements of tinkering learning. 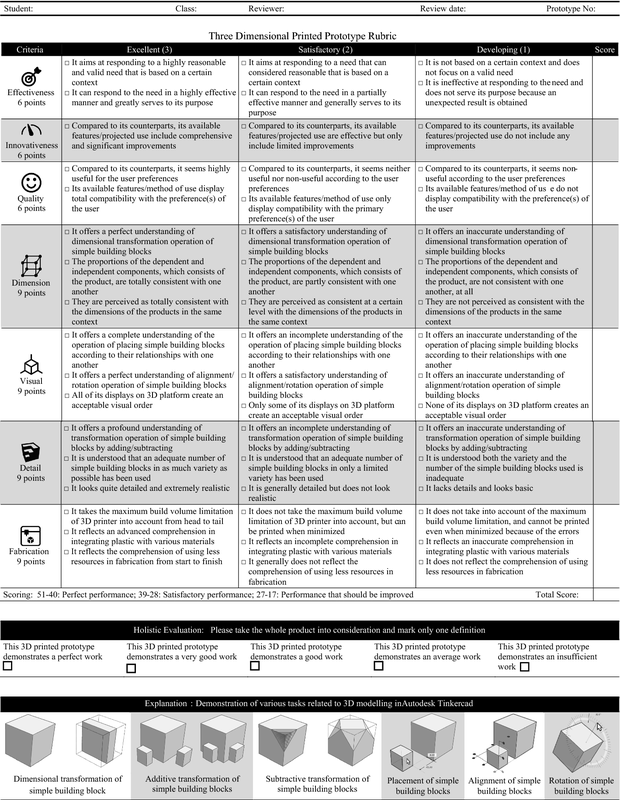 In this direction, a draft rubric has been created by literature review and 3D product observation. In order to ensure the validity of it, a study group consisting of nine fifth grade students have also been observed during a tinkering activity and expert opinions have been sought for it. According to the results, an analytical and general-type instructional rubric has been developed, which includes definitions about 17 performance indicators under 7 criteria and whose internal consistency, scope, appearance, language validity has been ensured at a certain level. The teachers of the primary or secondary schools wanting to perform in-class tinkering activity with 3D printers can feedback to the 3D printed prototype performance of their students rapidly purposefully and effectively by using this rubric. Gershenfeld, N. (2006). Unleash your creativity in a Fab Lab. http://www.ted.com/talks/neil_gershenfeld_on_fab_labs. Accessed 18 Mar 2018. Vossoughi, S., & Bevan, B. (2014). Making and tinkering: A review of the literature. http://sites.nationalacademies.org/cs/groups/dbassesite/documents/webpage/dbasse_089888.pdf. Accessed 3 Dec 2017.